This version is the edition from Israel and shows a photo of "The Rolling Stones" in front of a buiding in "fish-eye" view. 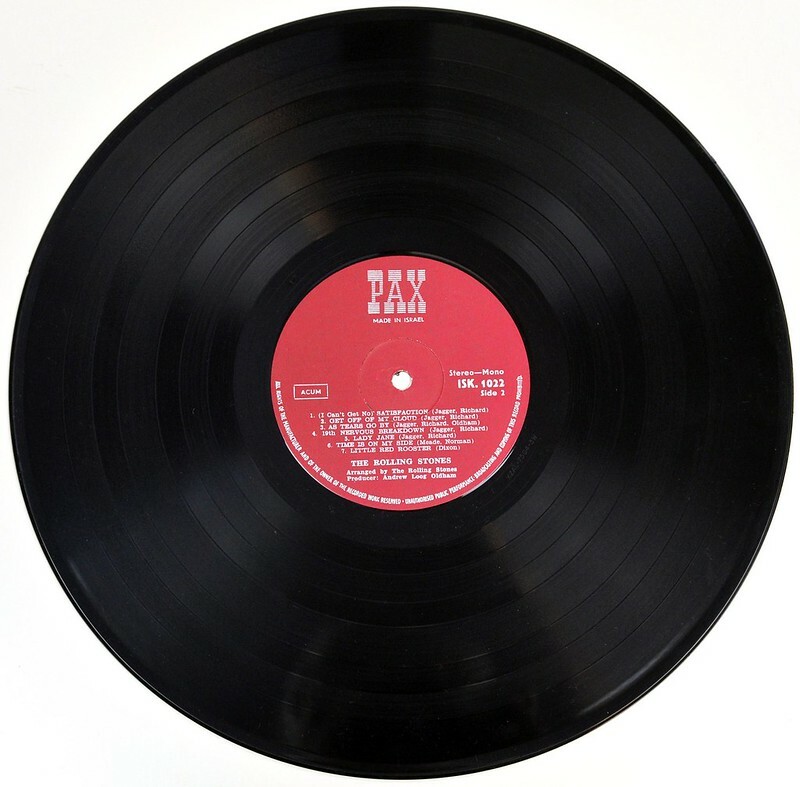 The album front cover shows a photo of "The Rolling Stones" in front of a buiding in "fish-eye" view.. On the top of the album cover is the album title and in the right hand corner is the catalognr "ISK 1022" (unboxed). 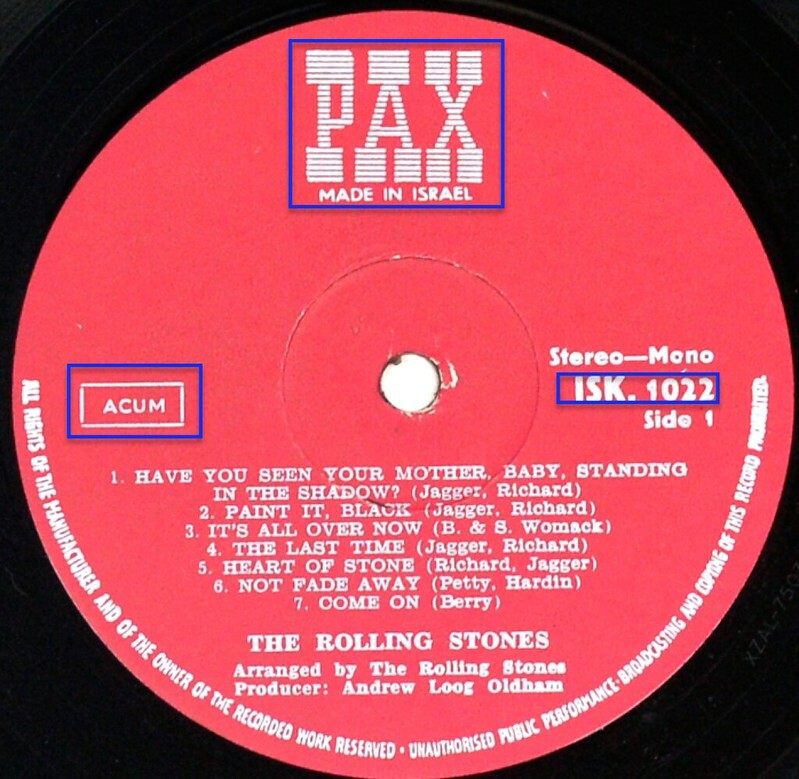 Near the bottom is the band-name "THE ROLLING STONES" in all capital letters and in the bottom left corner are the letters "PAX" inside a white box. 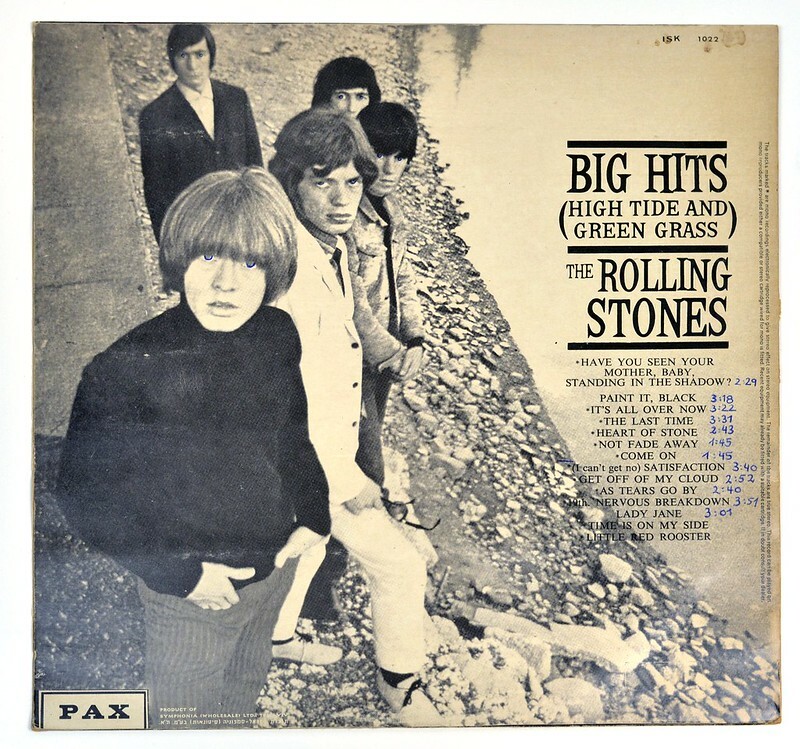 The album back cover has a black-white photo of the Rolling Stones standing near a river (other versions of the album "Big Hits" have this photo on the front cover). 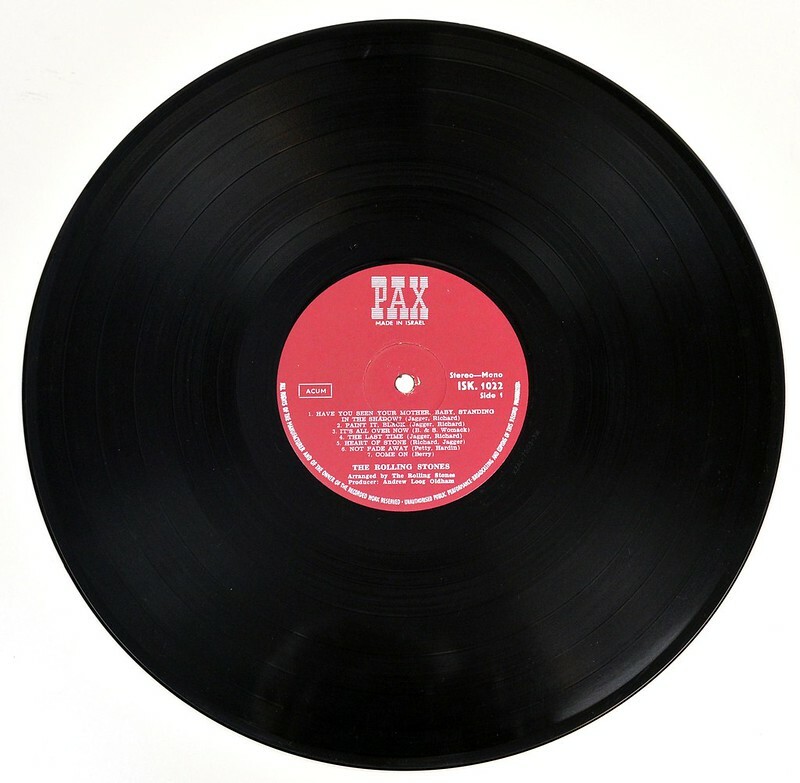 On the upper right corner of the back cover is the catalognr "ISK 1022". The notation of the catalognr on the back cover is slightly different from the notation on the label "ISK. 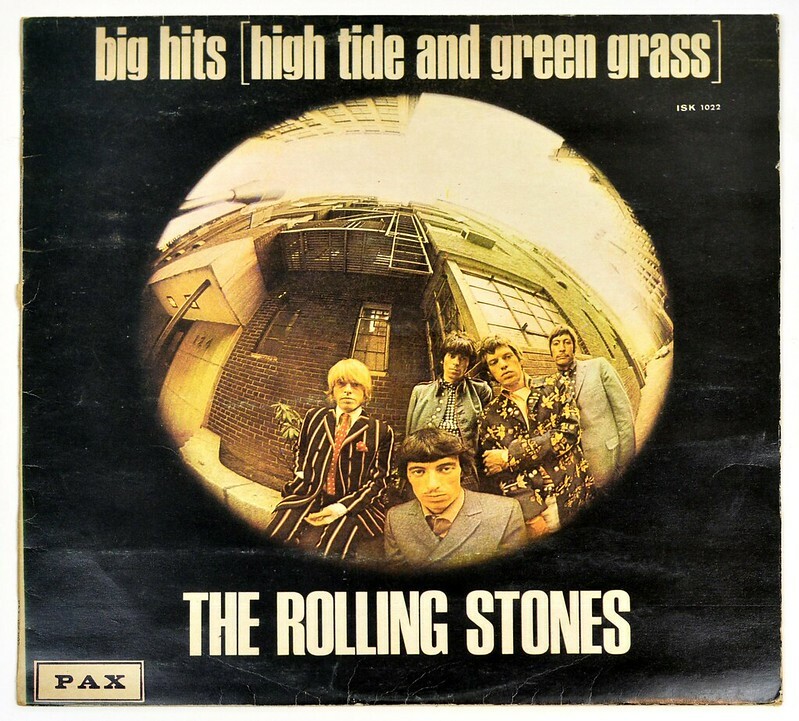 1022"
High Resolution and Quality Photos of Complete Album Covers "ROLLING STONES - Big Hits (High Tide and Green Grass) Israel PAX"
Album Back Cover Photo of "ROLLING STONES - Big Hits (High Tide and Green Grass) Israel PAX"
Complete Track-listing of the album "ROLLING STONES - Big Hits (High Tide and Green Grass) Israel PAX"